It's back to school time, and the weather will soon be rearing its ugly head. How do I cheer up? 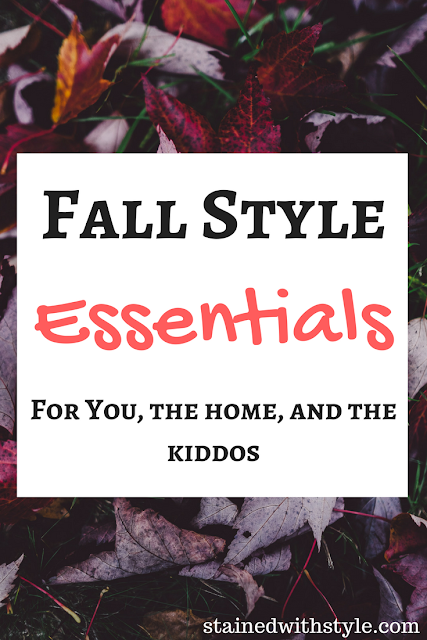 Share some of my fall favorites! Ok, so I always try to find some less expensive versions of the hottest trends. I am obsessed with pairing tweed and velvet this season. There is the adorable vintage tweed jacket I have, and something similar I found at Neimans. Something like it on Amazon is MUCH cheaper, and you can pair it with a plaid shirt, or something daintier for evening. Here is a plaid shirt that would be SUPER cute! If you wanted to throw a velvet shirt under there, you can't get better than $10. Make sure you check the sizing though, and don't be daunted (about the asian sizing guide). I have gotten some super cute things! As the air gets drier, my skin needs some extra moisture. I absolutely LOVE this moisturizer from derma E. I use it every night. My hubby's laptop bag is falling apart. Actually falling apart, and I have been in the market for something new...I am kind digging this one. What are your thoughts? Last but not least, I have to share with you these super cute outfits from Firearm kids. They are Boden-esque (but at painting in preschool prices). They run a bit small, so order one size up (in my experience).